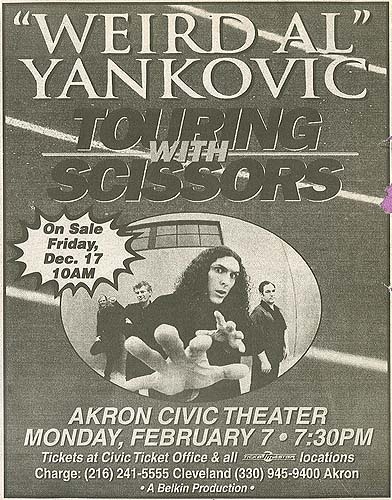 A print ad for Al's February 7, 2000 concert in Akron, OH. It marked the first time Al performed in Akron (although the guys had played a show in suburban Cuyahoga Falls on the Monkees tour). The ad misspelled the venue's name, as it officially uses the European spelling of "theatre."